The second day of racing is complete at the SCSDA Paddles & Pumpkins event in San Jacinto, CA. 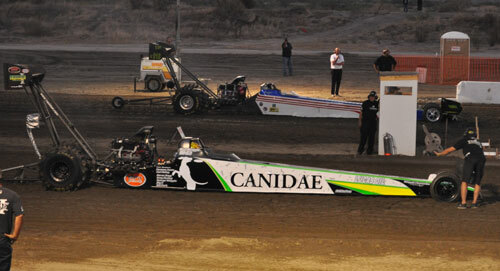 Scott Whipple led the Top Fuel action at the Soboba Casino with a 2.38 blast in the final qualifying session to take the top spot in the CANIDAE Fueler. In typical Gary Mink fashion, he rolled on Saturday morning & put the Bad to the Bone car at the top of the sheet with a 2.599. 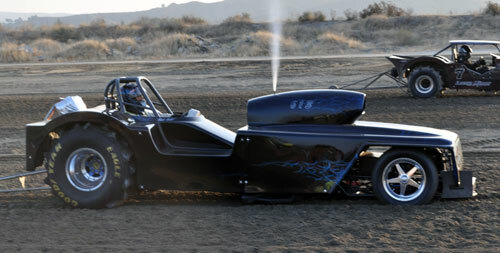 Don Diffenbaugh scored a huge top qualifier with a 2.850 in the Fast Fours class with his Poison Ivy Dragster. Low qualifier in Top Eliminator ended up being points leader Jim Rossi in the Bad Toy Dragster. Larry Minor Motorsports driver Geoff Gill had a big day taking the top qualifying spot in Pro Mod Unlimited as well as driving to the win in the Larry Minor Jeep Bracket class, all in the same car. Other bracket winners on the day include Christopher Wells (Sportsman 1), Fred Green (Sportsman 2), Robert Garnas (Motorcycle Sportsman 1), and Caleb Mings (Motorcycle Sportsman 2). The first day of competition at the SCSDA Paddles & Pumpkins event is in the books. Dennis Rieck holds the top spot with an early shut off 3.28 after a troubled first session of qualifying. Look for the Nitro guys to get things sorted out tomorrow. Scott Carroll laid down a nice 2.64 to lead the way in Top Alcohol. Don Diffenbaugh set the bar high in Fast Fours with a nice 2.860 lap laid down early in the day. Top Eliminator saw Paul Taylor lead the way with a 3.10 ET. Bob Gill led the pack in Pro Mod Unlimited with a stellar 3.04/115MPH pass. Saturday will feature the rest of Heads-Up qualifying as well as Sportsman Bracket class time trials & eliminations. Also on tap for Saturday is the Wounded Warriors Project fundraiser being held by Quality Aircraft Care/Hammer Down Racing. This will take place at 8PM trackside the end of the bleachers. Dennis Rieck's Hammer Down Racing Nitro Mouse has a new look this weekend. 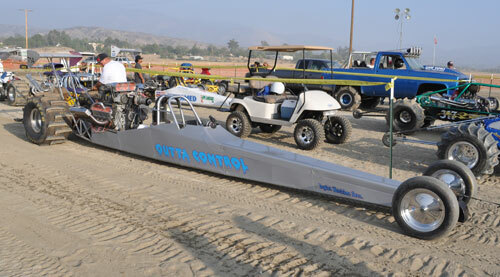 Scott Whipple's CANIDAE Fueler also has a new look for this event. 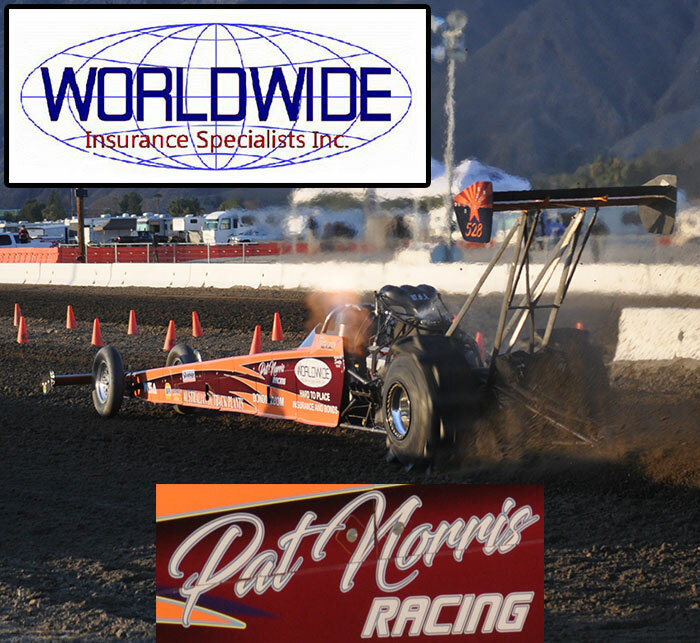 Bob Gill purging the nitrous before putting it in the beams & running a 3.04 to top the PMU qualifying list for now. The 2DollaBill dragster of Billy Morris is looking good in Top Alcohol action sitting #3 with a 2.73. Paul Taylor is sitting atop the early qualifying order in TE with a 3.10. 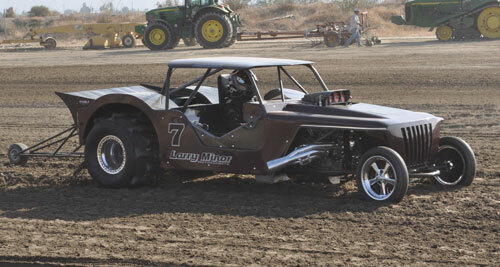 Geoff Gill is piloting two Larry Minor Motorsports Jeeps this weekend, including this brand new Minor entry. 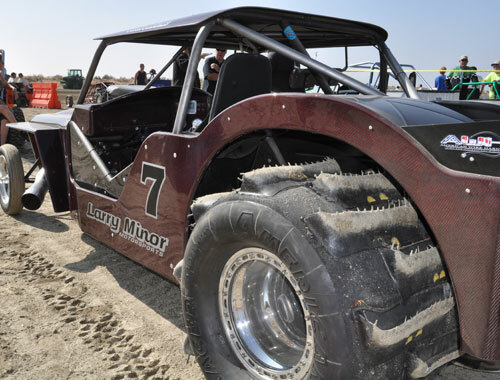 Another look at the new Larry Minor Motorsports Jeep. Here’s a reminder for everyone coming out to the Soboba SCSDA event this weekend. Hammer Down Racing & Quality Aircraft Care are holding a benefit for the Wounded Warriors Project on Saturday night from 8PM-Midnight. There will be a live band & all donations will go directly towards the Wounded Warriors Project. The benefit will be held trackside, at the end of the bleachers. Hope to see everyone there!